Knowledge is a resource you already own; you just haven’t properly monetized it yet. Any organisation is rich with knowledge, and our organisation pays a lot for knowledge already (60% of the non-capital spend according to Larry Prusak). That knowledge is a very powerful resource, but it’s mostly locked away in silos, and in the heads of individuals. You don’t need to buy the knowledge – you own it already. All you need to do it free it up to move to where it is needed. 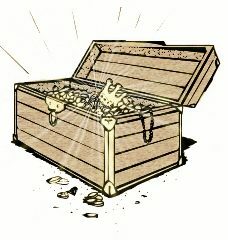 It’s like a buried treasure, buried in your own back yard, and Knowledge management is the spade you can use to dig it up. The great advantage of this selling point is that it calls on two primary instincts; the instinct for Gain, and the instinct to not Lose something you already own. It also suggests sunk costs – that you have spent so much on knowledge already – and that KM is a modest on-the-top expense to liberate that sunk cost. Try it with your senior managers – it just might work! ISKO SG Nick Milton How to Sell Knowledge Management from Patrick Lambe on Vimeo. Everyone needs an elevator pitch for KM. Base it around these 3 questions. 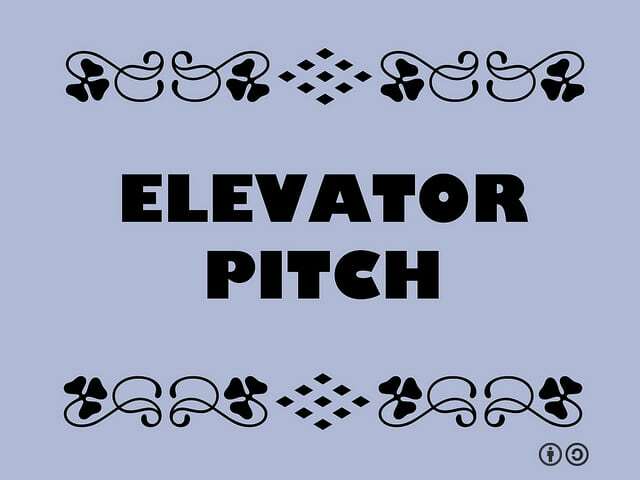 The elevator pitch is your 30-second attemtp to sell KM to a senior manager you meet in an elevator. It needs to be short, concise, and engaging. “Knowledge Management is something new we are trying – a systematic way of ensuring that your people at all levels have instant access to the knowledge they need to make the right decisions and take the right actions. It can save you time and money, save you from repeat mistakes made elsewhere in the past, and help you deliver a better result. “We are losing work because our bid teams don’t have good enough access to the knowledge they need to land the bid. I think we can fix that, and in quite a simple way. “Some of our most critical know-how is in the heads of people who will retire soon, and if we don’t do something about it, that capability will be lost to us. For example (give example of imminent knowledge loss). We can cover this risk, if we act now and act strategically. You will need to word the pitch yourself, but remember to answer the three questions. 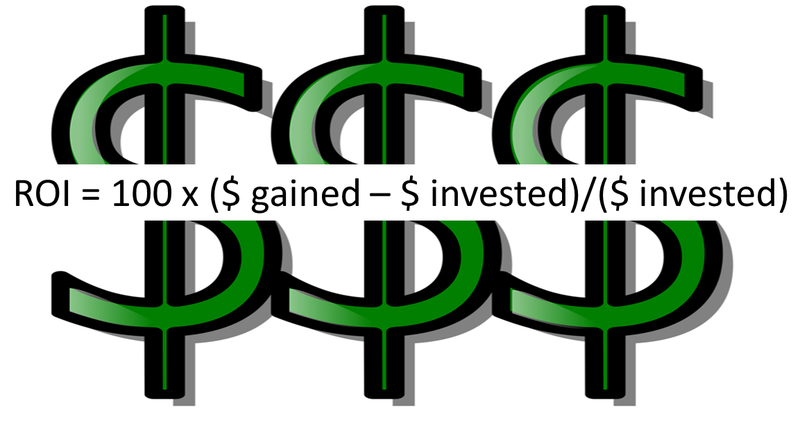 The "KM ROI" question – problem or opportunity? Your manager comes to you and says “I like the idea of Knowledge Management, but you have to give me an ROI figure”. Is this a problem, or an opportunity? At first sight this is a problematic request, as the ROI for KM is notoriously difficult to predict. If your manager wants you to sell KM on a firm ROI prediction, you have some difficult thinking to do (we can help). However there are five things that make this question into a real opportunity for your KM program. 1) Top Management are talking to you. You have access to them, and they are listening to you. A conversation with senior management has opened up. 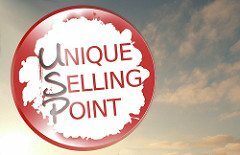 As a KM sales person, you need to make the most of this, and you need to determine the selling point for KM. ROI will not be the selling point – most firms buy KM on emotion and not logic – but management will still need a convincing ROI to justify the purchase. 2) You have the opportunity to show them some success stories which demonstrate a very high ROI. 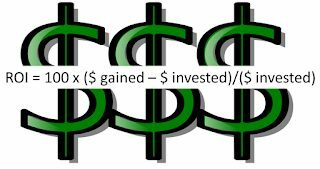 KM can deliver fantastic ROI – our October 2012 Newsletter gives many examples of KM ROI and how it can be measured, and this blog has published a regular series of quantified success stories, with 117 examples to date. There is plenty of evidence you can show them from industrial organisations where KM has paid back its investment ten-fold or a hundred-fold, and plenty of success stories you can use as social proof. 3) You have the opportunity to make a deal with them.Ask them for permission and support to pilot knowledge management in one part of the organisation, and to measure the return. You promise them ROI from the pilot, and if this ROI is big enough, you ask them for their continued support in return. 4) You have the opportunity to offer to use KM to solve some of their real problems. Don’t forget, KM works extremely well when applied at senior level – its not just for the frontline staff. Senior managers are knowledge workers too. If you can solve their problems through KM, they will become your greatest advocates. 5) A big ROI gives you permission to ask for a big budget. Once your management realise how valuable KM can be, then they are more likely to make a sizeable investment. This could be the chance you were looking for to build a proper KM program with a good chance of success. So look on this request as an opportunity to engage, and broker a deal, at the highest level. Your aim should be to gain support for a business pilot, through which you can demonstrate ROI, and if that ROI is convincing enough, to gain further support for full KM roll-out. The ROI conversation could be the best opportunity you are given to progress KM. There are four dangerous words you hear a lot when introducing KM. Here’s how to respond to them. Those are the four words, and they usually appear in this context. This comeback is one of the 5 most common objections to KM, and you hear it from senior managers when talking about KM at organisational level, and you hear something similar from project managers when talking about KM at project level (“We can’t learn from the past – this project is different“). They represent at best a closed attitude, and at worst a fundamental unwillingness to learn – a sort of arrogance, almost. 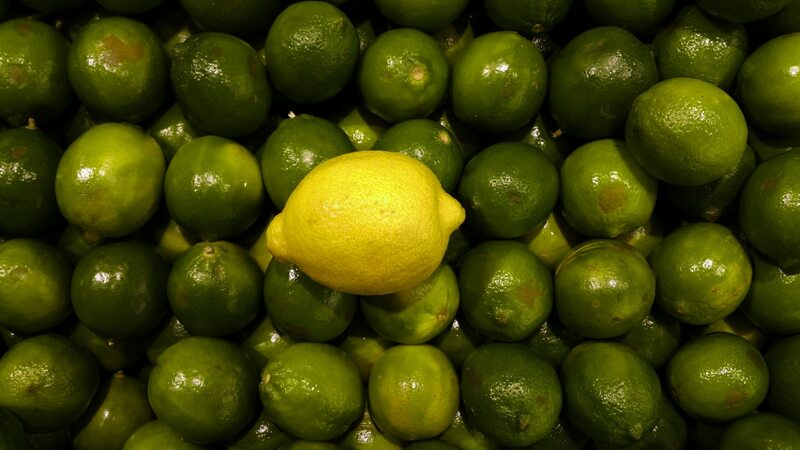 In a way they are true – every organisation is different. But on the other hand, every organisation is the same; all are made up of people who have to make decisions, and who need knowledge to make those decisions. The point is that every organisation is different, but the problems and issues they face are much the same, and when those problems are knowledge-related, KM can help. You have have made a logical business case for KM at your organisation, but nobody buys things based on logic. People generally buy things based on emotion (“I must have that – it looks so cool”), and then convince themselves by logic that is was a Good Decision. Knowledge Management is no different. You need to present your senior managers with an emotional case for Knowledge Management that they will buy into, then back this up with a logical business case that shows it was a great decision. All our competitors are doing KM already. The sale is based on Fear of being left out. “We had better catch up with the others”. None of our competitors are doing KM yet – we can beat them to the draw. The sale is based on the lure of Exclusivity (“Be the first on your block to have Knowledge Management), but it is a risky sale, as senior management may wonder WHY none of the competitors are doing it. All the Big Companies are doing KM. This sale is based on Envy and Aspiration – the reasons why people buy BMWs. You tell them great stories about the MAKE award winners, and how much value they get from KM. You tell them about TI’s “free fabrication plant”, or Shell’s $200m pa from CoPs. Use some of our success stories as bait for the logical case, but the sell is “If so many Big Organisations do it, it must be good. Let’s copy the Big Boys”. Clients are beginning to demand KM as “part of good business”. This is another Fear-based sale – “If we don’t have KM, we won’t be able to compete”. KM has already appeared in ISO Standard 9001, and there will soon be an ISO KM Standard, and clients will want to make sure you are up to standard. We will look stupid if we can’t manage knowledge. Tell them the story of the client with a good knowledge management framework, who could see their contractor (who had no KM) making the same expensive repeat mistake around the world. This is a Fear-based sale – nobody wants their client to discover repeat mistakes. We are at real risk if we don’t have have knowledge management. “We can’t carry on like this!” This is an effective sale for ageing industries, with age-loaded demographics, where you can show figures about projected expertise-loss. You show how the company will have lost 20% of its brainpower in the next 5 years (or whatever the figures are), and you talk about the risk that this poses to continued effective operation. Sell the idea that Doing Nothing is a Bad Choice. There’s a massive advantage if we do have Knowledge Management. This is the Greed Sell, but it’s hard to divorce this from the logical sell. The best way to present this to your senior management is to say “We have this Knowledge already. We have already paid for it. It’s an underused asset. All we need to do it monetise it”. That’s a bit more subtle than a Greed Sell – it’s a “Wasted Value” sell. It’s cool. This is a risky sale, as KM has now lost the “Cool” cachet. It may have worked 15 years ago, but it’s hard to make it work now. Then once you have piloted knowledge management, and have a success story to tell, then the sell for further investment is easy. 9. We tried it, it worked, we really liked it. Make sure that this story, this sell, is told not by you, but by someone within the business. Get a real quote from them, or (even better) get them on video giving their feedback. This is your “happy customer” endorsement, and the happy customer has to come from within your company, has to speak with emotion, and has to talk about the solving of a real business problem. Work out the Emotional Sell for KM, and back this up with a sound business case.